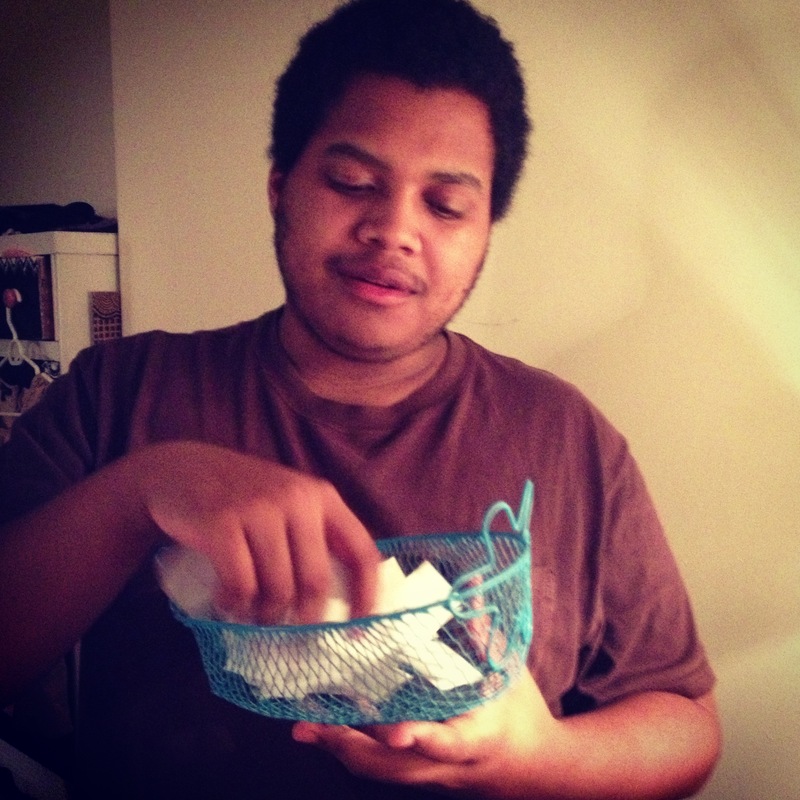 Mike drawing the winner out of a basket. My hat was too small to hold all the entries. The lucky winner of my giveaway of “Glow” by Jessica Maria Tuccelli is Dorothy Teel. I’ll be in touch via e-mail. Congratulations! If the winner doesn’t contact me within 3 days, I’ll draw a new one. This has been my most successful giveaway since I started my blog, and it’s taught me some lessons. Next time I host a giveaway, I’ll be more explicit from the start whether or not it’s international. I’ll also learn to use Rafflecopter. While the hat/basket is old school and fun, having a lot of entries can make it time consuming! Ah, there’s something to be said for old school. What a great picture! Mike is a great sport!